Q: WHAT DOES OPERATION EYESIGHT DO? 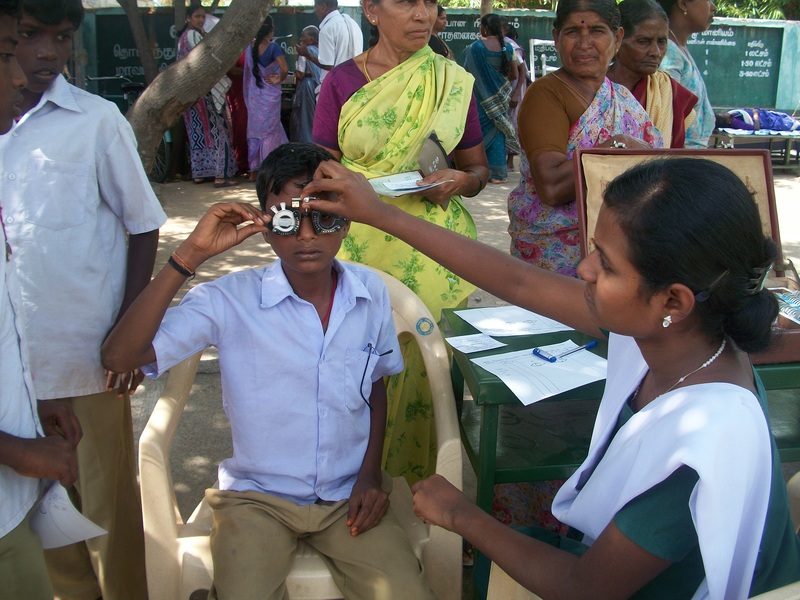 A: Operation Eyesight is an international development organization working to eliminate avoidable blindness with the help of donations from people like you, and support from service clubs, foundations, corporations and governments. Based in Canada, our organization has brought sight-restoration and blindness-prevention treatment to millions of people since we were founded in 1963. 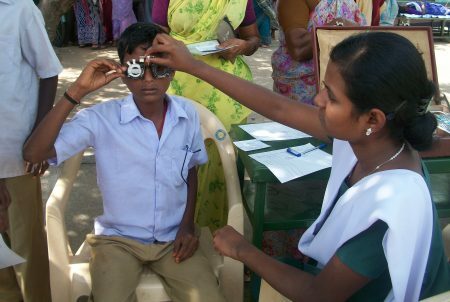 Today, our work is focused in the African countries of Ghana, Kenya and Zambia, and India and Nepal – places where blindness can be deadly, especially to those who are very young, old or poor. We believe avoidable blindness will be eliminated when everyone has access to quality eye care regardless of their ability to pay, and when all countries have eye care systems that are sustainable without foreign support. Q: IS AVOIDABLE BLINDNESS A BIG PROBLEM? A: Global blindness is a major health issue. Among the very young, the very poor and the elderly, visual impairment can lead to death. Vision loss robs people of their independence, financial stability, opportunity and dignity. Around the world, an estimated 253 million people are visually impaired. 89 percent of these people live in low and middle income countries. An estimated 36 million people are totally blind. Q: WHAT IS THE MAIN CAUSE OF BLINDNESS IN THE WORLD? A: According to the World Health Organization, the largest cause of visual impairment is uncorrected refractive error (the need for a simple eye exam and a pair of eyeglasses). The next largest cause is cataracts. Other causes include glaucoma, trachoma, diabetic retinopathy, age-related macular degeneration and eye conditions in children such as vitamin A deficiency. 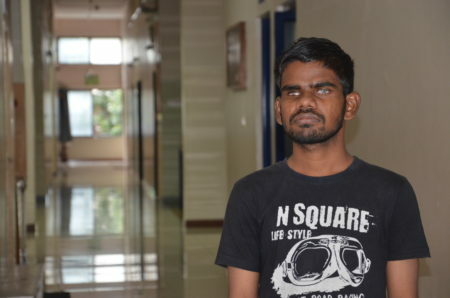 Q: HOW CAN I HELP OPERATION EYESIGHT END AVOIDABLE BLINDNESS? A: We appreciate your support! The most important thing you can do to help is to donate. 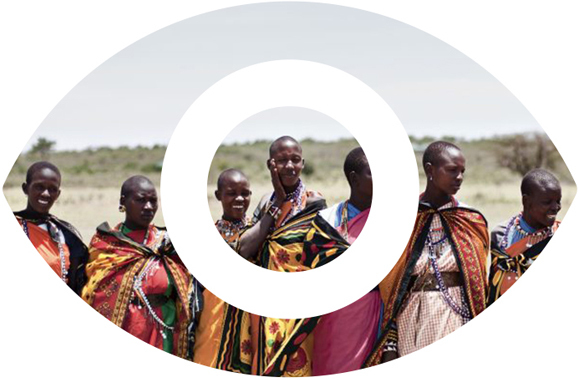 Your generosity allows us to establish sustainable eye care in the countries where we work. Other ways to donate include sending an eCard or making a Legacy gift. Also, please tell your friends and family about avoidable blindness and about Operation Eyesight. You can follow us on Facebook or Twitter and share our posts. A: There are several ways you can help Operation Eyesight. Please visit our More Ways to Give page. Q: I’M HAVING PROBLEMS WITH DONATING; CAN YOU HELP? A: We’re happy to help! Please contact us. Q: HOW DOES OPERATION EYESIGHT RAISE AND SPEND THE MONEY IT COLLECTS? A: Operation Eyesight raises funds from our dedicated base of donors, community organizations (clubs, church groups), companies, foundations and government. 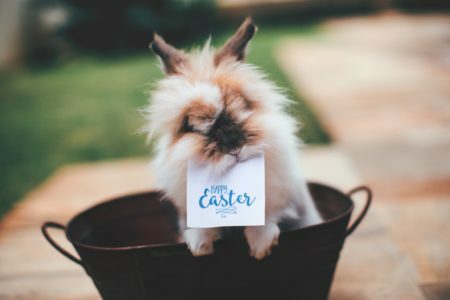 We welcome you to join this group! In 2016, 76 percent of our expenditures went to our international programs. To learn more, see our latest Report to Donors or read about our Operating Costs. Q: DOES OPERATION EYESIGHT COLLECT USED EYEGLASSES? A: No, in 2003 we ended our eyeglass collection program. There are a variety of complex reasons for this, but the short answer is that it’s expensive to collect, sort and ship eyeglasses overseas and nearly impossible to properly match prescriptions. Rather than provide those in need with inferior products, we’ve made eyeglasses part of our solution to the problem of avoidable blindness. By supporting the sale of locally-made eyeglasses by our partner hospitals, those hospitals are able to reach financial self-sustainability and subsidize the cost of eyeglasses for those who cannot afford them. You can read more about why we don’t accept used eyeglasses here. Q: CAN I VISIT ONE OF THE PROGRAMS YOU SUPPORT IN SOUTH ASIA OR AFRICA? A: At this time, we’re not able to provide tours or travel information for our partner hospitals. Nor do we encourage personal visits, out of respect for patient privacy and our concern that interacting with visitors can be a drain on the limited resources available to our medical partners and staff. However, we’d be happy to provide you with information about our work in India, Kenya, Ghana, Zambia or Nepal. Q: WILL OPERATION EYESIGHT EXPAND ITS ACTIVITIES TO [COUNTRY]? A: We are always evaluating opportunities to eliminate avoidable blindness around the world. We follow a rigorous process for selecting regions in which to work, which includes a need to fit into existing health care systems. When we identify an opportunity, we partner with the local ministry of health, analyze the local needs, situation and gaps in health, and secure a major source of funding and other support. At this time, we don’t have any news about expansion to new countries. Q: I’M INTERESTED IN VOLUNTEERING OVERSEAS. DO YOU ACCEPT VOLUNTEERS? A: Operation Eyesight is a development organization, and we are focused on long-term, local solutions involving local (indigenous) expertise. As a result, we don’t facilitate volunteer or professional opportunities for people outside the countries where we work. However, we commend you for your desire to support developing countries and we wish you success in your search for volunteer opportunities! Q: I’M A CANADIAN DOCTOR INTERESTED IN OVERSEAS OPPORTUNITIES. DO YOU ACCEPT MEDICAL VOLUNTEERS? A: No; because of our focus on building local professional capacity in the countries where we work, we do not engage Canadian ophthalmologists to undertake surgeries, although we occasionally have volunteer opportunities for training in subspecialties. However, we encourage Canadian eye health professionals to learn about our work and to recommend Operation Eyesight to others concerned about blindness and low vision. We hope we can count on your support in this way. Please contact us for more information about how you can help. Q: I’M HAVING TROUBLE WITH MY EYES. CAN YOU HELP ME? A: Operation Eyesight works closely with physicians and medical experts around the world, but we do not have medical professionals available for consultations. Therefore, we cannot advise or comment on medical issues. However, we know healthy vision is extremely important, so we urge you to consult with your local eye health provider. Q: CAN YOU EXPLAIN A TERM OR ACRONYM ON YOUR WEBSITE? A: Please visit our Glossary Page. Q: I DONATED TO OPERATION EYESIGHT; WHEN WILL I RECEIVE MY TAX RECEIPT? A: If you’ve donated online, your tax receipt should arrive in your email inbox within 24 hours. If it doesn’t, please contact us. If you donated by mail or over the phone, please allow several weeks for your tax receipt to arrive. If you are a monthly donor, your consolidated tax receipt will arrive at the end of the tax year. Thank you for your generous donation! A: Sustainability refers to the ability of the programs we support to continuously operate their own facilities and activities without external support. We accomplish this by helping our partners introduce cost-recovery mechanisms (such as vision centres and the selling of eyeglasses) that allow them to generate revenue. By doing this, we’re creating long term solutions rather than providing short-term aid. A: We believe that the community is the foundation of eye health. In order to eliminate avoidable blindness, education and connection must occur along with treatment. We now employ a model in which all of our hospital partners are connected to the community through outreach clinics, education programs and relationships with local leaders and organizations. Our innovative model was developed by our Indian staff and endorsed by Vision 2020 India.